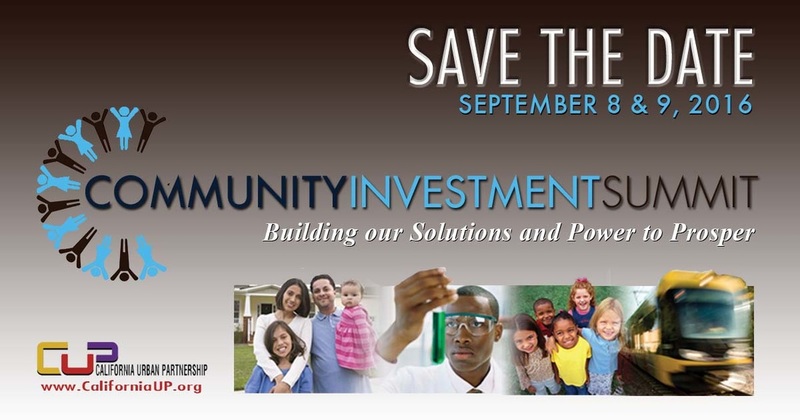 The Community Investment Summit (CIS) is a California Urban Partnership effort to build economic security in low income neighborhoods and communities of color. Data driven and nonpartisan, the Summit is a strategy to collaboratively plan, fund, manage and measure the performance of innovative and sustainable community-based programs, initiatives and social enterprises. The Summit is designed to engage stakeholders at a regional level (throughout California), align their widely shared priorities and provide technical assistance in a process for achieving Collective Impact. 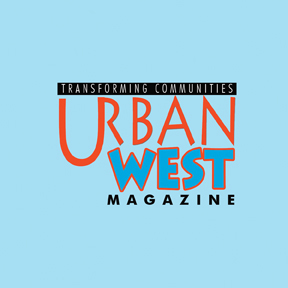 The California Urban Partnership will employ five evidence-based conditions for Collective Impact that together produce true alignment and lead to powerful results: a common agenda, shared measurement systems, mutually reinforcing activities, continuous communication, and backbone organization support. The Summit’s ultimate objective is to create successful responses to interrelated challenges and norms unique to people of color, and the places where they live. Summit benefits will include stronger stakeholder competitiveness, greater access to community development capital, and, delivery of high returns on existing and new private and public sector community investments. As a lab and factory for the development of strategic partnerships and long term solutions, the Summit will apply a continuum of specific, coordinated and sound work. ACTION-oriented around Triple Bottom Line outcomes (TBL 3E's = Equity, Economic, Environmental) in four (4) Focus Areas, the Summit will empower stakeholders to ensure that individuals and families experiencing generational poverty and income inequality have access to business, housing, employment, health, education, and other resources necessary to become economically secure, and have an improved quality of life.